Aker Solutions has been awarded a master contract to support the delivery of a subsea compression system for the Chevron Australia-operated Jansz-Io field offshore Australia. The first service order under the master contract will be for front-end engineering and design of a subsea compression station that will boost the recovery of gas from the field. The FEED scope will also cover an unmanned power and control floater, as well as overall field system engineering services. The field control station will distribute onshore power to the subsea compression station. The gas compression system will boost recovery of gas more cost-effectively and with a smaller environmental footprint than a conventional semi-submersible compressor solution. 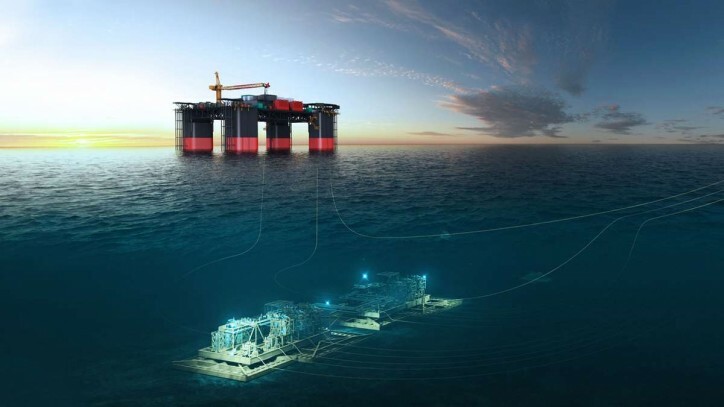 Aker Solutions in 2015 delivered the world's first subsea compression system for Equinor's Åsgard field offshore Norway. "Aker Solutions has worked closely with its partners MAN Energy Solutions and ABB to reduce the size and cost of the compression system," said Luis Araujo, chief executive officer at Aker Solutions. "We are excited to work with Chevron Australia on our compressor-technology to boost recovery at the Jansz-Io field." Compression will help maintain plateau gas production rates as reservoir pressure drops over time. While such compressors have typically been installed on platforms over sea level, placing them on the seabed and near the wellheads improves recovery rates and reduces capital and operating costs. The Jansz-Io field is located around 200 kilometers offshore the north-west coast of Western Australia at approximately 1,350 meters below the surface. The Jansz-Io field is a part of the Chevron Australia-operated Gorgon Project, one of the world's largest natural gas developments. "Australia will be the first place outside of Norway to use the subsea compression technology. Aker Solutions has been present in Western Australia for more than 20 years and we look forward to working collaboratively with the local industry on this development," said Araujo.